In the video below, this Peruan man compares the Antediluvian Homo sapiens with today’s Homo sapiens sapiens–something I discussed in my papers, as well. I also wrote about the time before the Sun began to shine from a blue sky. Before the Flood, the sky was damp and very cloudy–a global canopy was keeping the sunlight out. This man confirms my research. Moreover, after the new terraforming of the planet, the Moon was aligned due to an exact mathematic formula, making it the same size as the Sun (seen from our perspective)–thus we have the “eclipses,” where the Moon covers the Sun exactly. This is precision work. En.ki’s terraforming of the Earth affected both the planet and the new species, Homo Sapiens sapiens–the new, genetically manipulated human race, to whom we belong. Those living underground, whom this Peruan man talks about, are the humans who lived on the surface of the Earth before the Flood. Most of them were wiped out together with the rest of the fauna at that point. In the “Wes Penre Papers, First Level of Learning“, I referenced the Pleiadians quite a bit, especially in my “Soulution Papers”. I did so because I have found their information, channeled through Barbara Marciniak, being solid, consistent and extremely helpful over the years that I’ve done spiritual research. Please check out the link below and hear what CNN has to say about what we can expect in the near future in regards to hacking into private and government websites. Fake “Good Intended” Pleiadian Ambassador in Missile Drama! Colleen Thomas, self-proclaimed Pleiadian Ambassador, whom I quoted in the article, “The Pleiadians: A Strange Series of Events”, is a Sirian Agent? 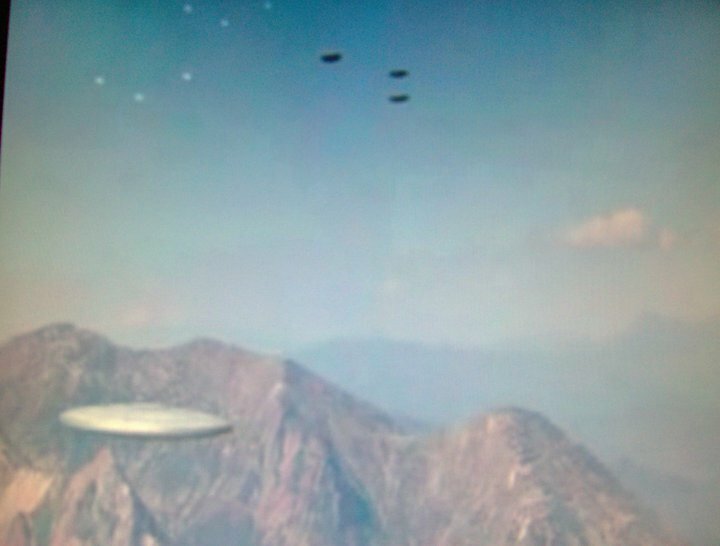 I am not sure why I didn’t connect the dots right away, but Ms. Thomas is telling us in the first video that she is of the Pleiadians, but in collaboration with the Sirians. She is even using the SSS (snake) terminology to describe the Reptilian Orion Queens, just like Robert Morning Sky did in his “Terra Papers”. These are a suggested read for everybody, because they contain a lot of good information that is crucial if we want to understand the many important events happening today, especially within exopolitics. Colleen Thomas claims to be coming here as an Ambassador to the Pleiadians and the Sirians, to overthrow the Orion Reptiles and the Dracos and create peace on Earth. I am re-posting her video below, and this time, listen carefully how she uses terms like the “SS” repeatedly when describing the Reptilians on Earth–“SS” being the term for the Reptilian Orion Queens (the SSS-T in Morning Sky’s Terra Papers). The Sirians (The ASA-RRR in the Papers), are the “dog” people, the warrior race from Sirius, who later turned into the Sirian Anunnaki. The theory that time is cyclical rather than linear is not a new concept; it’s been “known” since antiquity. The theory goes that we are stuck in a “time loop”, which is cyclical. This means there is a beginning and an end (an alpha and an omega), a cycle which then repeats itself (and has done) over and over until we will be able to break out of this otherwise endless pattern of birth and rebirth in form of reincarnations. The reason we don’t notice we are in a loop is because we don’t live long enough in one lifetime to go through the whole cycle. One cycle may be tens of thousands, maybe hundreds of thousands of years, or more. The Mayans had this concept of time as well, and according to them, we are now living in the end-times where one cycle ends and everything starts all over again from the beginning.